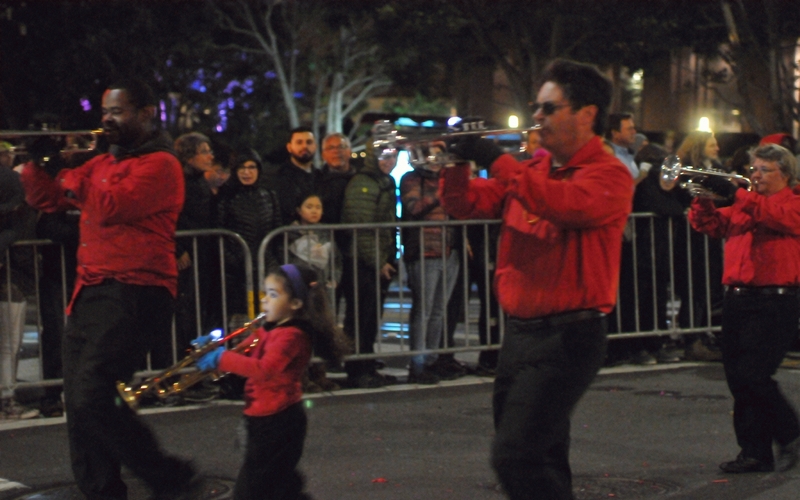 The smallest member of the San Francisco Renegades Drum and Bugle Corps marched with the adults while playing an instrument. 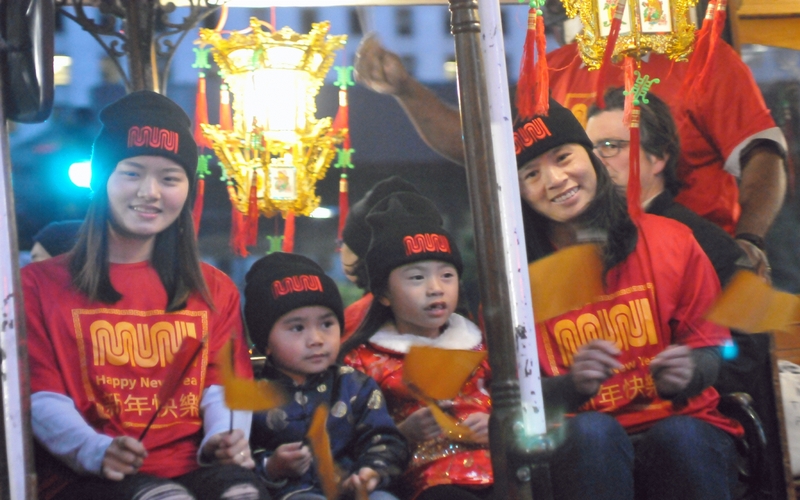 Two of the children with SFMTA's MUNI rode on one of the outward facing seats of a fake cable car. 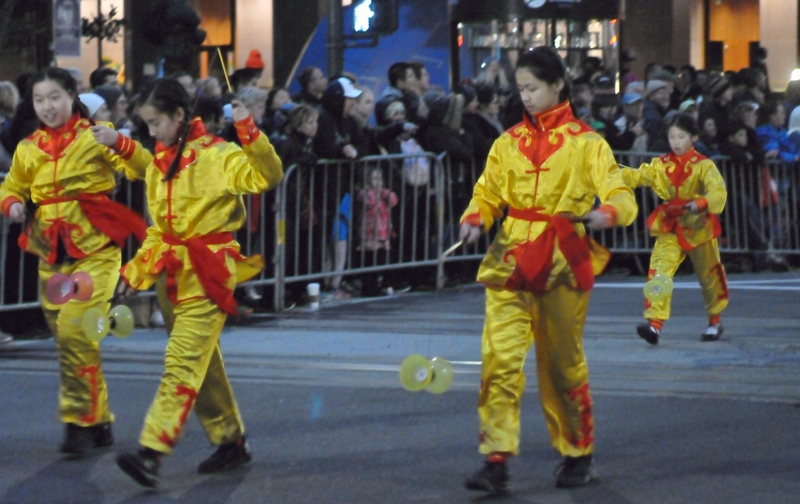 Children with the Cornerstone Academy walked while spinning spinners. 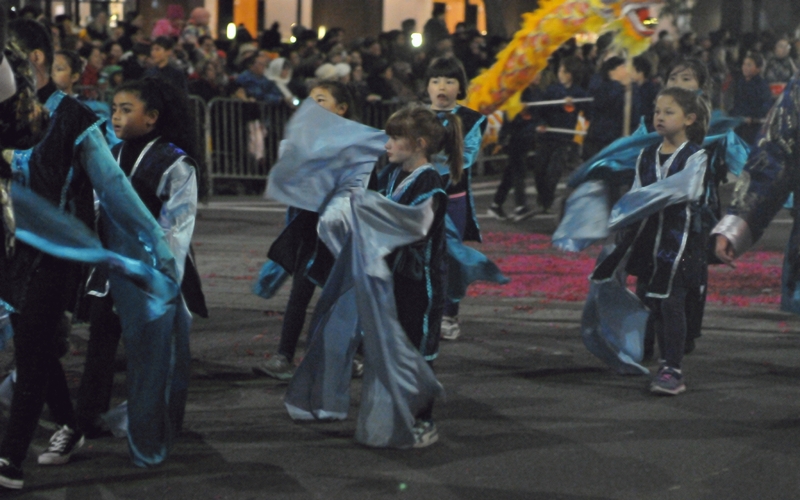 Students with Starr King Elementary School marched while wearing elaborate clothing. 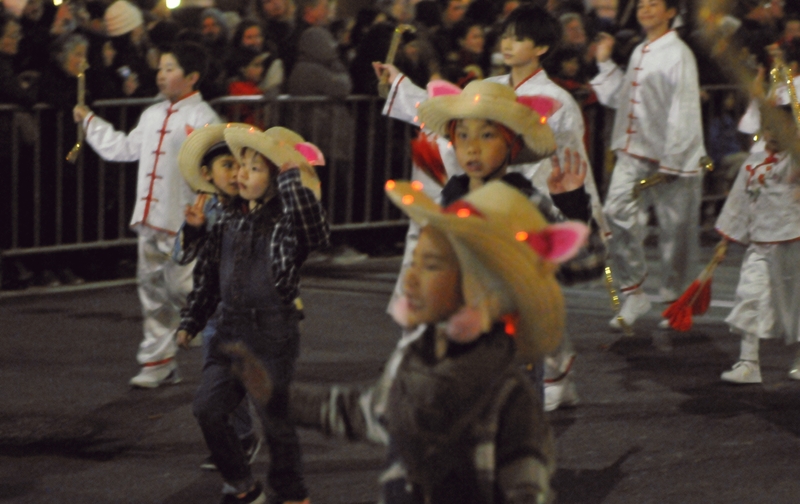 Children with Alice Fong Yu Alternative School were dressed like farmers but wearing straw hats fitted with pig ears. 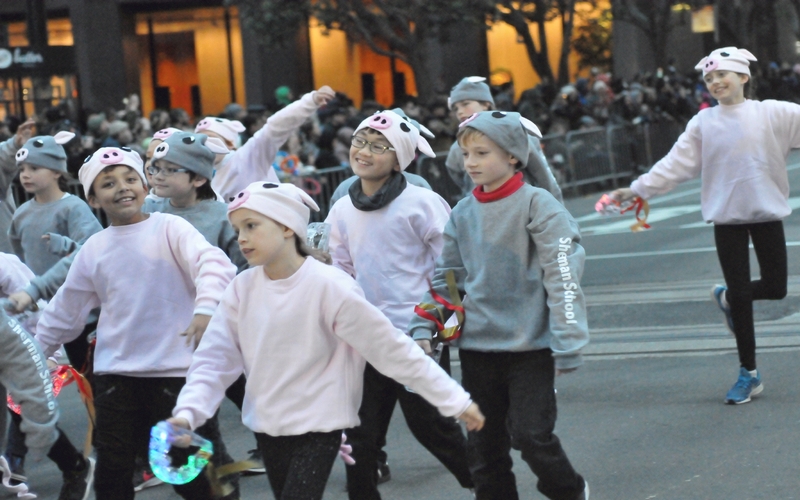 The children with San Francisco's Sherman School danced their way along the parade route.